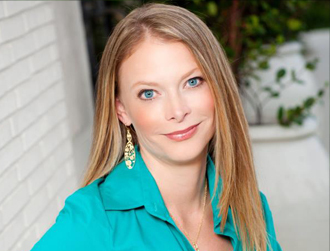 Chelsey Dodd, AP, DOM is a board certified Acupuncture Physician and Nutritionist and practices locally as an associate at Indian River Acupuncture. Chelsey joined her colleagues here over two years ago, but has been practicing natural medicine for eight years. Prior to joining Indian River Acupuncture, Chelsey owned and operated an acupuncture practice in Brevard county. Her office was affiliated with an integrative medicine practice where she worked closely with the Medical Doctor to help patients reclaim their health and find relief from pain and a variety of other health concerns. This knowledge and experience enables Chelsey to address the specific needs of each patient through the use of a variety of treatment techniques including acupuncture, micro-current stimulation, body work, and customized nutritional protocols. Chelsey specializes in the treatment of acute and chronic pain, nutritional treatment of disease, weight loss, cleansing, and detoxification, and fertility enhancement. Chelsey graduated with honors from the University of Florida, where she studied biological psychology and healthcare finance. After working on the business side of healthcare providing consulting services for many hospitals and insurance companies, Chelsey determined that natural healthcare is a much needed, affordable solution for many of our nation’s healthcare problems. During this time of working 14 hour days and living on the road, Chelsey developed severe health problems of her own that were only corrected after committing to natural medicine and lifestyle changes. Chelsey’s positive personal experience with acupuncture and nutrition led her to pursue this as a new career. Chelsey attended Florida College of Integrative Medicine, where she earned a Master’s degree in Oriental Medicine and graduated with honors. She subsequently earned a second Master’s degree in Nutrition from University of Bridgeport. Chelsey’s education included specialized training and clinical experience with acupuncture, herbal medicine, cupping, moxabustion, Western medical sciences, and the in-depth study of biochemical nutrition. To further her clinical skills, Chelsey studies under and incorporates into her practice the teachings and techniques of Dr. Tan, world renowned acupuncture master and developer of the Balance Method. She is also certified in Acupoint Injection Therapy and Homotoxicology. Nationally board certified through NCCAOM — the National Certification Committee for Acupuncture and Oriental Medicine.